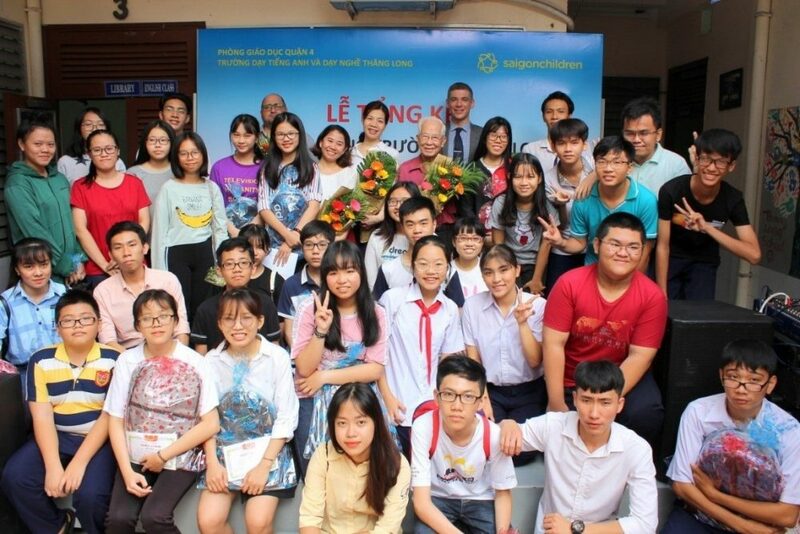 On Sunday 16th Dec 2017, Thang Long English and Vocational School (Thang Long School) held the closing ceremony of the 2018 academic year. 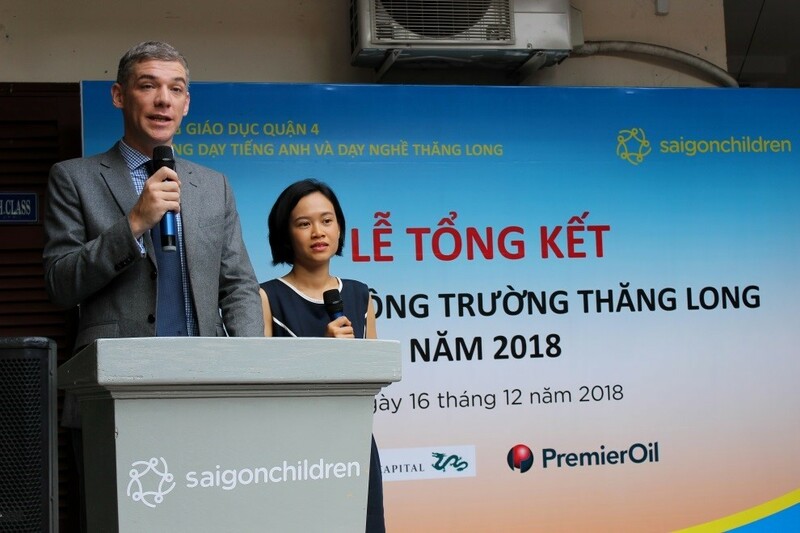 On this occasion, guests included Mr. Damien Roberts – Executive Director of saigonchildren, Ms. Nguyen Thi Duy Huong – Head of Programmes of saigonchildren, Ms. Vu Duc Nhi Ha – Corporate Communication of Dragon Capital as well as members from Thang Long School Board – Professor Huynh The Cuoc and Ms. Phan Thanh Thuy Hang – Principal of Thang Long School, all teachers, 60 students, 57 parents and volunteers.The opening ceremony began with the dance “Bong bong bang bang” of the students of dance class contributing to a joyful and lively atmosphere. 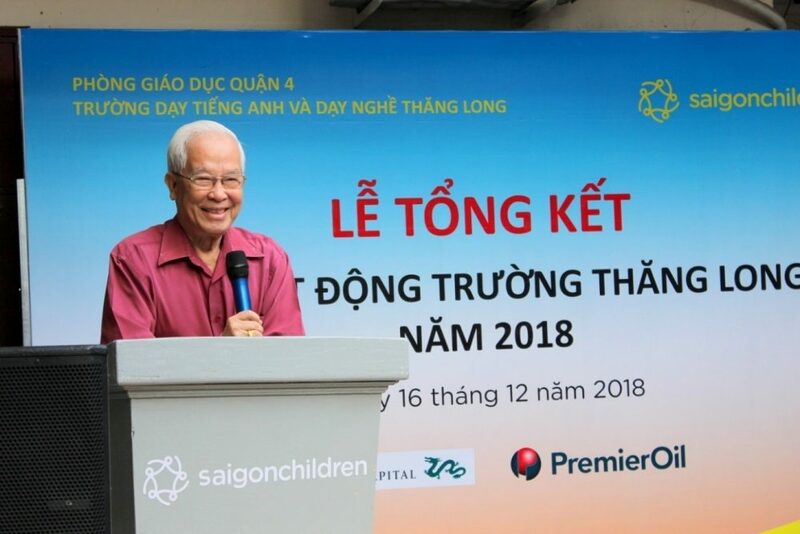 The Principal of Thăng Long School – Ms. Phan Thanh Thúy Hằng has reported the performance and achievements of the school in 2018. The school had many interesting activities. The quality of teaching is increasing, especially English and Computer classes. Social activities have shown the children the meaning when serving the community. In 2019, the school will continue to improve the teaching quality for students with disadvantaged backgrounds. 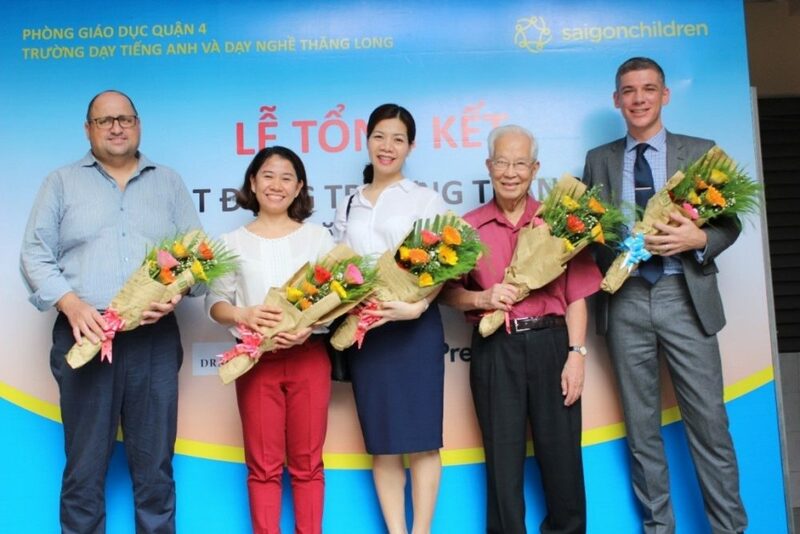 At this ceremony, Mr. Damien Roberts – Executive Director of saigonchildren, the main sponsor for Thang Long School congratulated the students for excellent academic achievements in previous school year and thanked the contribution of teachers as well as the support of parents. 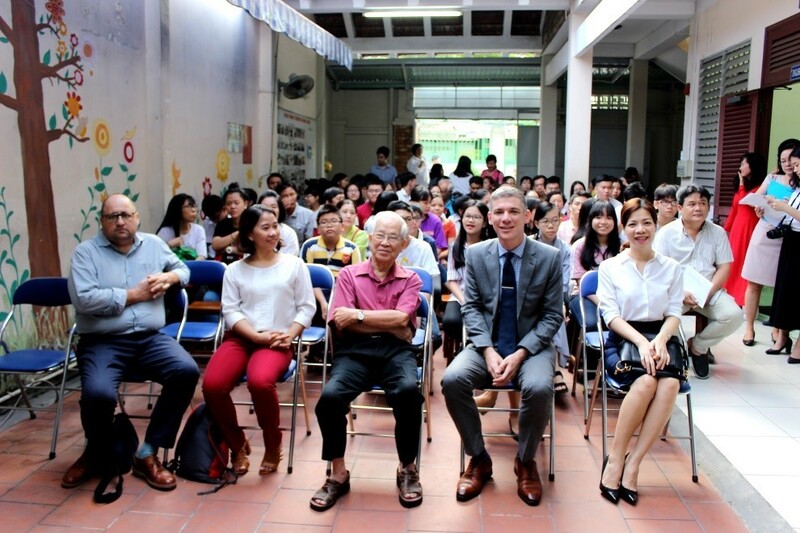 On behalf of the students, Phan Thi Tuong Vi, an student of English class who completed Upper-Intermediate level and achieved the title of excellent student, gave a speech in English and Vietnamese to share the feeling about her study and wishes after graduation. The closing ceremony is also an occasion to reward 60 students that have excellent results to encourage them to keep trying in order to reach their full potential and achieve their dreams.